You don’t need to be a certified beer expert to know that the microbrewing industry is the future of beer. Beer is a big bucks industry, with nearly $200 billion worth consumed in the United States alone each year. Though microbreweries make up only 6% of beer sales, craft beer is everywhere; from hip neighborhood spots to suburban eateries, you can pick up a locally-brewed ale from coast to coast in North America. So how is this seemingly small market share making such a splash? Microbreweries have many advantages. It may appear that the odds are stacked against them when it comes to competing with the giant conglomerates of the beer industry, but things aren’t how they seem. Microbrewers are thriving in the marketplace and gaining ground by maximizing the following four traits. Micro may be in their name, but smaller doesn’t mean weaker. Unburdened by their size, craft brewers recognize they are more agile than the competition, giving them the ability to spot trends in the marketplace and quickly respond to them. Using grassroots marketing like Facebook, Twitter, and Instagram they can speak to their demographic directly. Craft beer customers and microbrewery enthusiasts are known for valuing innovation and uniqueness, and microbreweries hit the mark by offering more than just tasty and unusual craft beer. They innovate and create by keeping their ear to the ground and swiftly reacting to new trends, consumer demand, and changes in design and technology. Smaller breweries have room to experiment, basing their creations on creative inspiration as opposed to long, arduous market research. They are free to innovate and test. 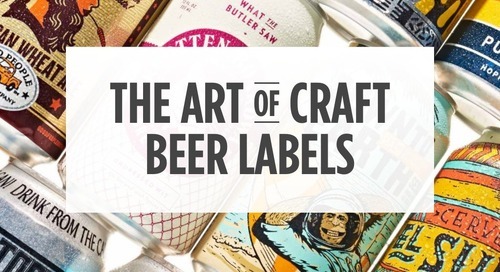 For example, craft brewers experiment with unpredictable flavor variations like chocolate, cherry, pepper, coconut or vanilla, even going as far as capitalising on trends like the bacon craze of 2013 or the more recent Sriracha obsession, with one-of-a-kind limited editions. Quit your job, invest your life savings, open a brewery; this is not an uncommon path for some of today’s most successful microbrewers. The same passion that calls them to trade in stability and a steady paycheck for a career in beer is the same passion that can be tasted in every sip of their craft brews. Microbreweries are not afraid to offer alternatives to mainstream big-brand options, because the beer is good, very good and they care about their product with a passion. They got into the business to make an impact- to share their creations with the world, and the quality of their creations are what make them stand out in the marketplace. The passion and importance of quality is clear in Steam Whistle Brewing’s mission statement: ‘Do one thing really, really well.’ The brewery prides itself on only using four ingredients in their signature pilsner, all GMO-free. Microbreweries are not scared of the competition because they aren’t playing by the same rules. Microbreweries aren't letting the big boys dictate how they are going to do business. With everything from bold and daring branding to creative distributions methods, microbreweries are not afraid to veer off the beaten path. Microbreweries provide beer novices and beer enthusiasts an alternative to the classic but predictable ales and lagers that have dominated the industry for decades. As well, they use graphics to appeal to the aesthetics of their target demo, often collaborating with local artists to create exceptional, stand-out labels, which are as creative and interesting as the beer itself. Collective Arts, an Ontario microbrewery, has artists submit artwork for their labels and incorporates new artists into their branding each month. Modern microbrewers are using branding to drive home the offer of a unique experience, and bring much needed color and visuals to the corporate and classic styles of big beer brands. Further challenging standard sales methods, they offer variety packs. Customers can pick and choose which flavors they want, making the most customizable experience, and offering an option that their big brand competition can’t. Location is everything, and in this case, smaller independent breweries are leveraging where their beer is made to create an inviting atmosphere for local beer drinkers. The locations themselves are open to the public, doubling as venues for members of the community to host engagement parties, weddings, and family gatherings. Rainhard Brewing Company, a TouchBistro customer located in Toronto, recently added locally-sourced charcuterie and cheese boards to their menu, to compliment their craft ale selection and satisfy the appetite of the hungry beer drinker. The locally-sourced ingredients introduce customers to nearby business allies, creating a sense of community and further realizing the desires and demands of their target demographic. The microbrewing industry is still a niche market, and though it is competing with the Big Beer industry, it is confident and steady and able to use it’s small size as an advantage in the marketplace. We will see microbreweries and their exclusive brews continue to flourish because of their ability to see their strengths clearly and skillfully navigate the marketplace. Squeeze every drop of ROI out of your festival investment.